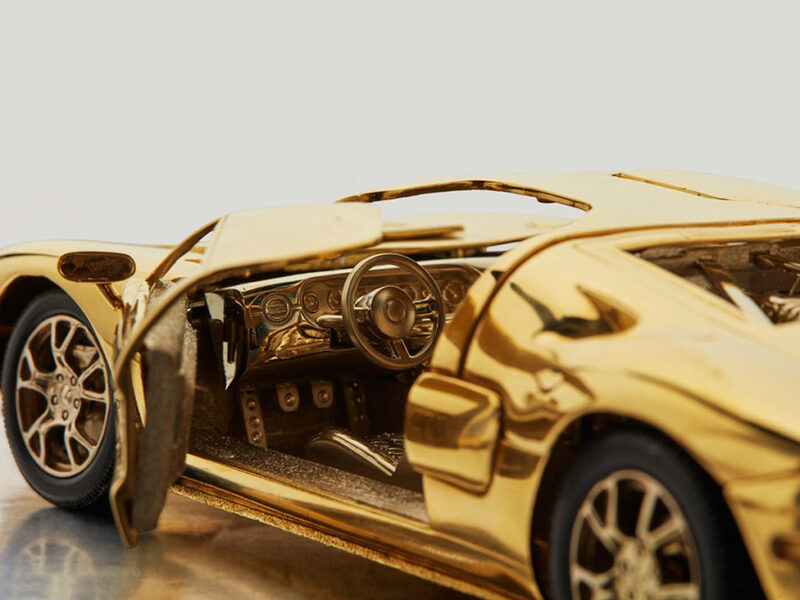 Prefer your sports cars 25 times smaller and covered in gold? 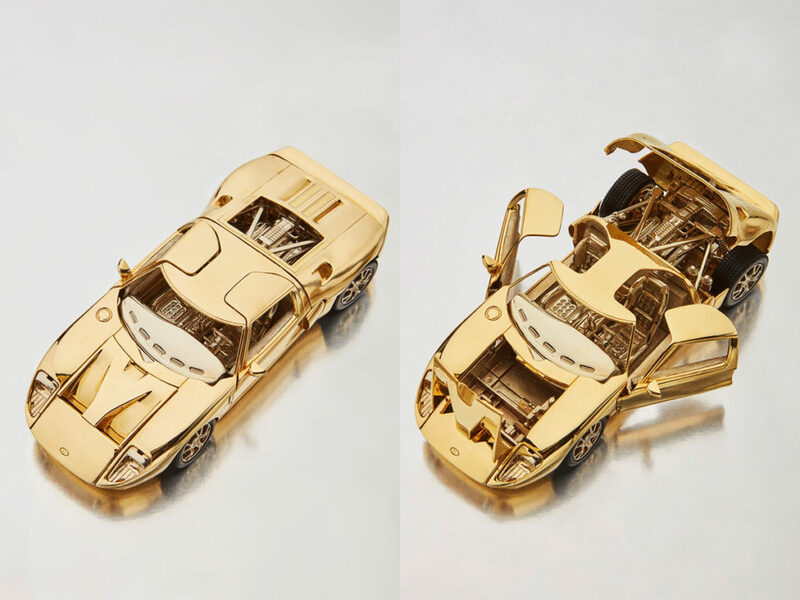 Prefer your sports cars 25 times smaller and covered in 18-karat gold? One of Henry Ford’s actual descendants is auctioning off just the thing. 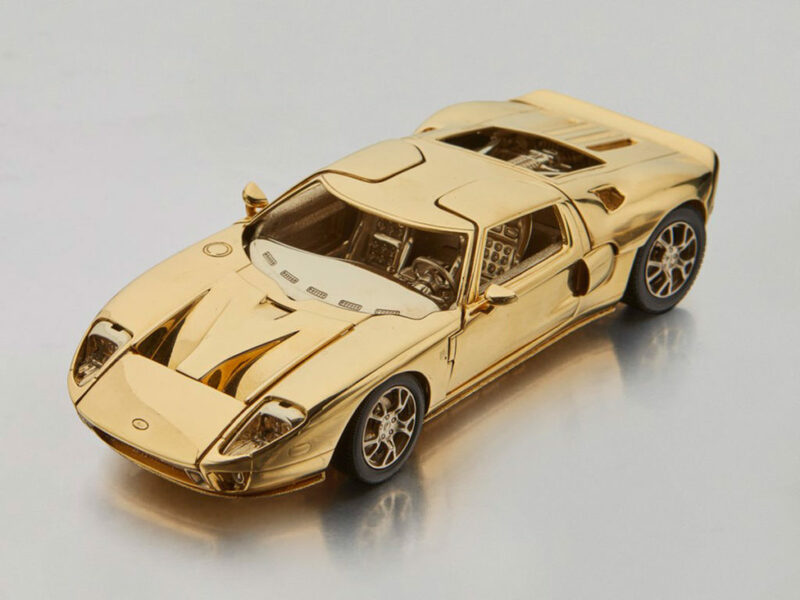 An exact 1/25 scale model of the 2006 Ford GT, this two-tone miniature car is designed with doors that open, a hood that pops, a Michigan “Ford 1” license plate, and other details that showcase the intricacy and craftsmanship of America’s most iconic auto manufacturer. Of course, the main attraction is the gold. 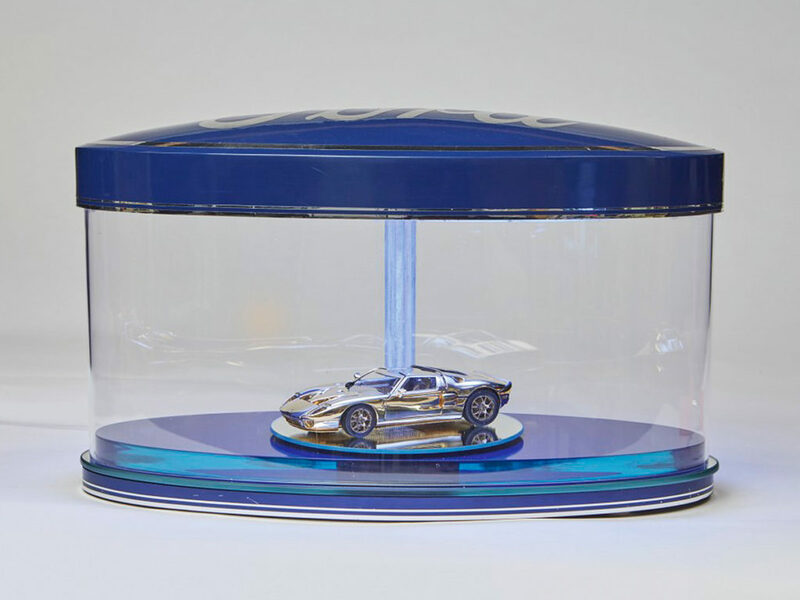 An 18-karat coating covers everything except the lights, windows, and four functional rubber wheels, making sure no one mistakes this collectible for a toy. 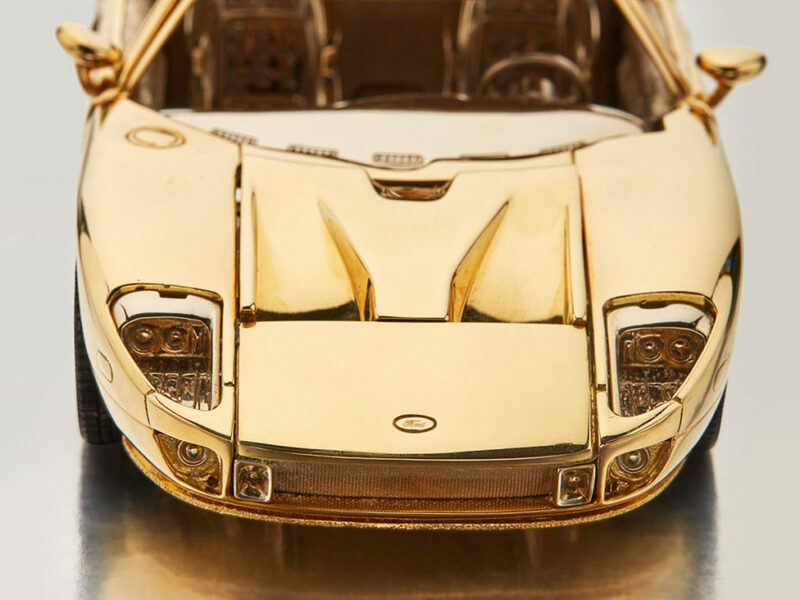 Still in good condition, the car and its case show some minor evidence of wear, but light flaking and scratching don’t detract from the metallic shine or pedigree exclusivity of a one-of-a-kind vehicle. Ford’s most powerful SUV yet, with a 3.0-liter EcoBoost engine that delivers 400 hp. Ford’s homage to Carroll Shelby’s legacy, the 2020 Shelby GT500 is the fastest and most powerful Mustang ever. Exquisite in its infinite detail and beautiful intentional imperfections, this ⅙ scale 1961 Dodge D100 is completely built from scratch. Describing the GHOSTKUBE may be difficult, but understanding its appeal is certainly not. The truly unique Paul Smith Edition Land Rover, as miniature die cast models in 1:43 and 1:18 scales. Made from sterling silver and American walnut, these Tiffany & Co. building blocks are the perfect stocking stuffers for the kid at heart.